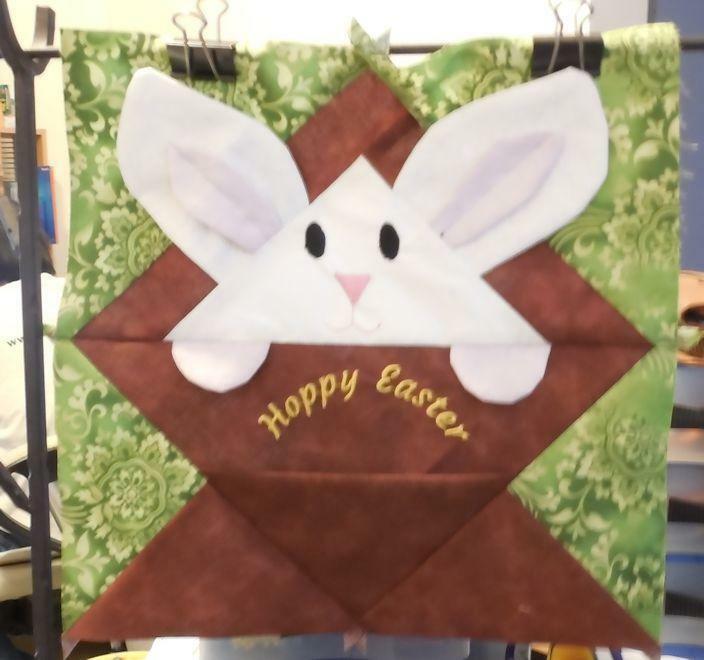 Hop Into Easter With a Bunny Basket quilt block. This cute 12-Inch block is a basket pattern with a bunny face and dimensional ears and hands. A bit of applique and embroidery and wala, it's finished in no time at all. If you do your embroidery by machine, vp3 and dst formats are in the zip file on my blog. Please see the url offered for that download page.